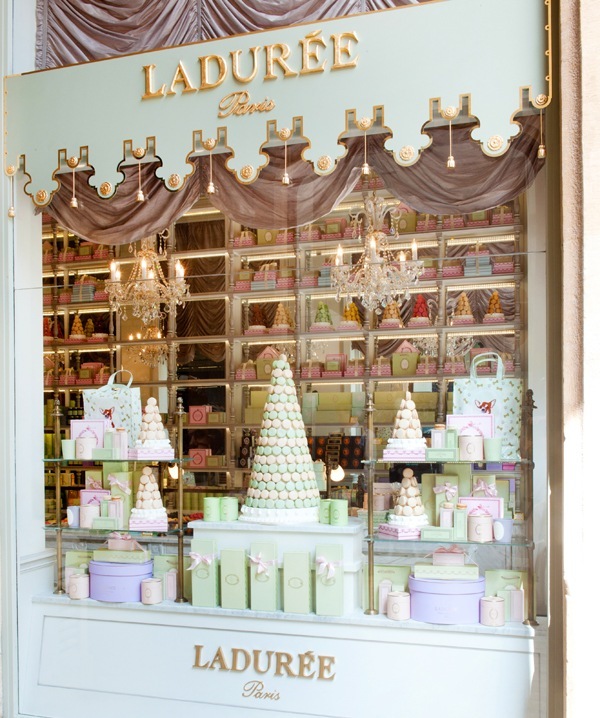 The first Ladurée shop opened its door in 1862, which makes it the oldest and most legendary of Parisian patisseries. They are especially famous for their French macaroons, tiny meringue cakes with filling that literally melt in your mouth.This week Ladurée opened in Beirut, Lebanon, Beirutrestaurants.com provided exclusive photos on their site. The display looks charming , a typical attribute of their shops worldwide. 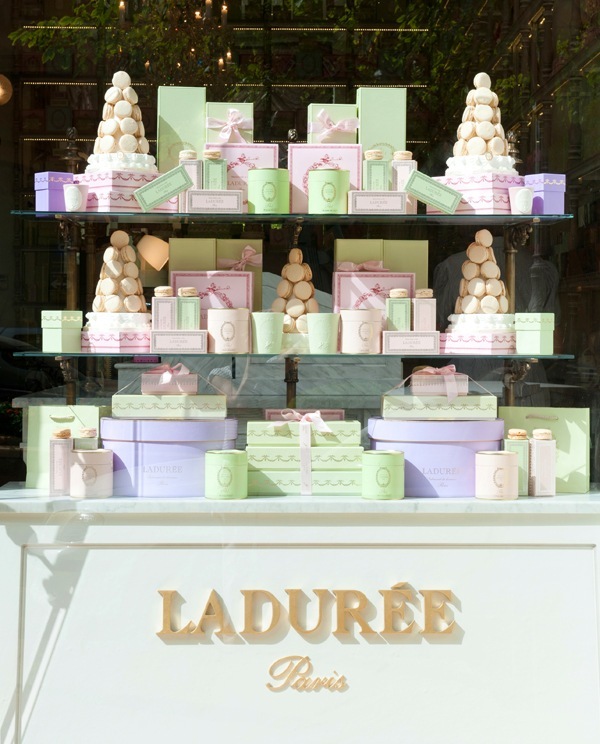 The location of the patisserie embraces the overall image of Ladurée. 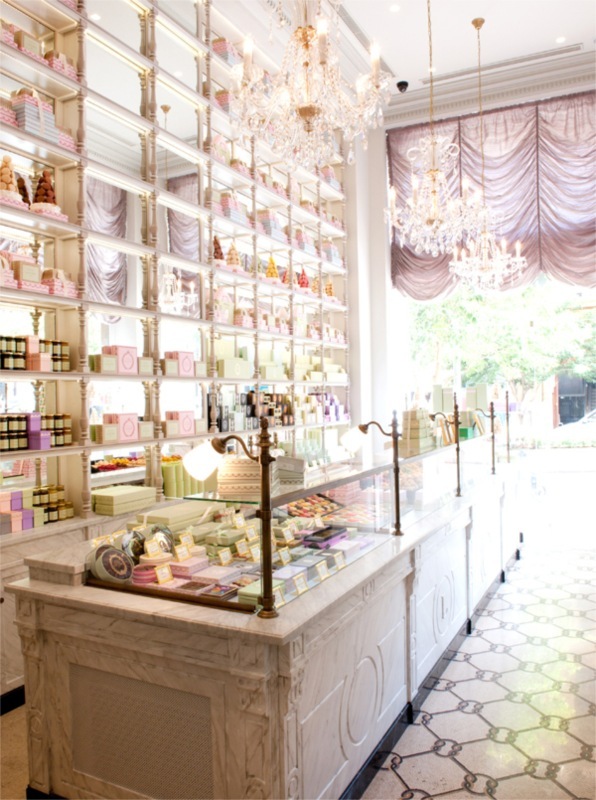 Ladurée is located in Downtown Beirut on Foch Street. 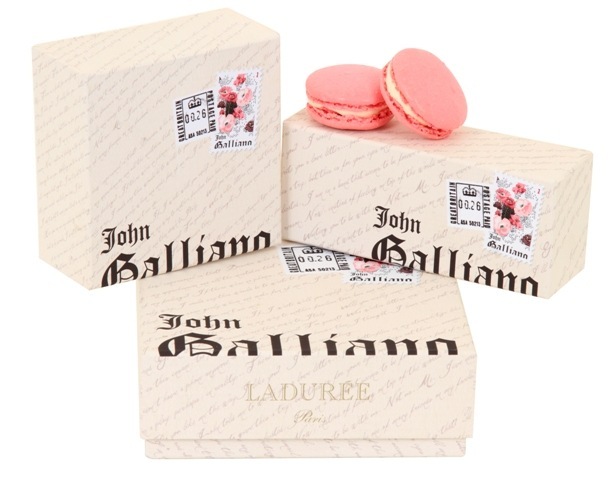 Ladurée have been creating signature gift boxes for the past 10 years at least, this November John Galliano will be collaborating with Ladurée to release limited edition macarons. The Dior designer’s macaroons – which come in boxes of either 6, 12, or 18 – pay tribute to his new perfume Parlez-Moi d’Amour. He chose rose and ginger flavors and created a limited edition box featuring references to the new fragrance. 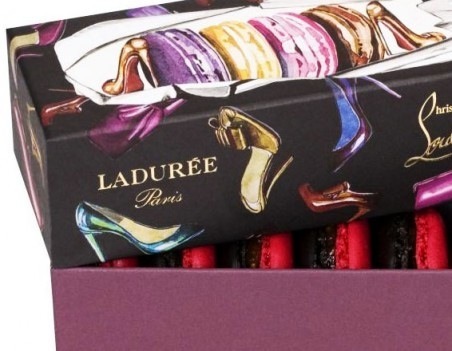 The macaroons are to go on sale in November in Ladurée stores in France, the UK, Switzerland, Montecarlo, Ireland, Italy and Japan. In 1871, while Baron Haussmann was giving Paris a ‘‘new face’’, a fire made access to the transformation of the bakery to a pastry shop. The decoration of the pastry shop was entrusted to Jules Cheret, a famous turn-of-the-century painter and poster artist. M Cheret sought inspiration from the painting techniques used for the ceiling of the Sistine Chapel and the Garnier Opera. By incorporating them in his work, he added depth and relief to the ceilings ornamented with cherubic children. 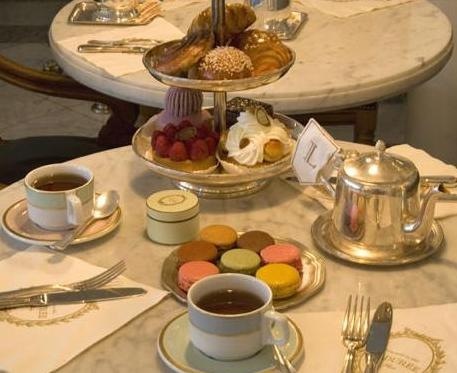 Ernest Ladurée’s wife, Jeanne Souchard, daughter of a well-known hotelier in Rouen, had the idea of mixing styles: the Parisian café and pastry shop gave birth to one of the first tea salons in town. The “salon de thé” had a definite advantage over the cafés: they permitted ladies to gather in freedom. This site imbued with a refined atmosphere and charged with history seduced David Holder and his father Francis Holder, founder of the Holder Group. 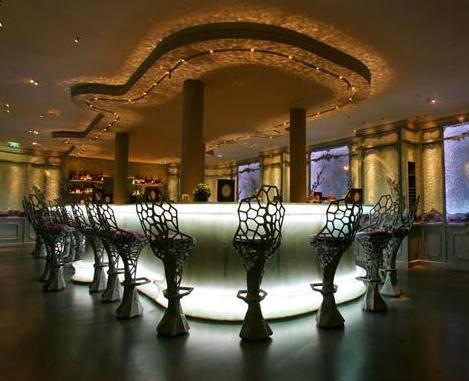 In 1993, they decided to buy this Parisian institution, and promote and enlarge the famous “Maison”. 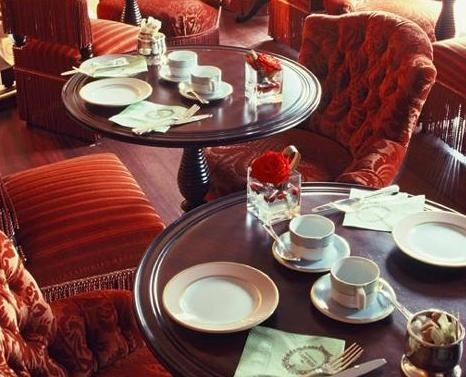 In September 1997, a new prestigious Ladurée address both a restaurant and tea room opened on the Champs-Elysées. The mission of the President David Holder is thus to bring back the great classics, which have contributed to the reputation of this ‘salon de thé’, as well as create an environment for gastronomic creativity in Paris. 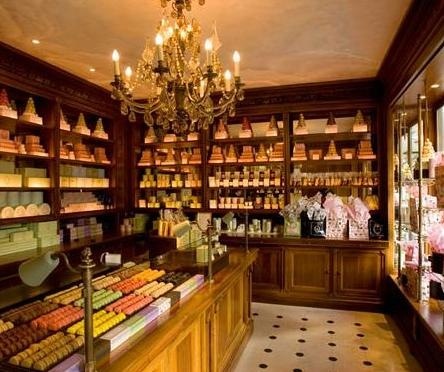 With him, Ladurée will be a tea salon, pastry shop, restaurant, chocolate shop and an ice cream parlor. The Holder group intends to introduce this century-old name in the main capitals of the world and develop new business opportunities. Ladurée will be opening very soon in Kuwait in 360 Mall ground level.